﻿Recently, I had the opportunity to check out a new program, You and Me Playdates, at the Please Touch Museum. I was so excited because it had been years since I had been to this museum located in Philadelphia. It had been so long, in fact, that I had not been to the new Please Touch Museum located at Memorial Hall in Fairmount Park. 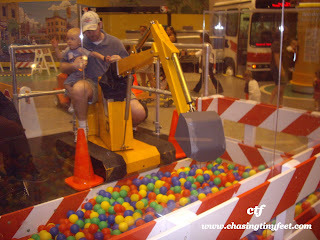 Getting to the museum was a lot easier than I though. And, once we got there, there was an easily accessible parking lot. Parking was $8.00 for the day. However, you may be able to find free, local parking if you are willing to walk a little. You and Me Playdates offer a chance for children and their parents to play together and experience music, art, puppetry and make believe. Here is a little information about the programs. Music: You, Me & Music will explore music that features the String, Wind, and Percussion families. 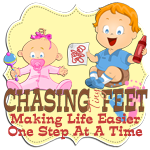 It is a 3 week class appropriate for ages 2-5 beginning Monday, November 1, 2010. During this class we were introduced to the String family. 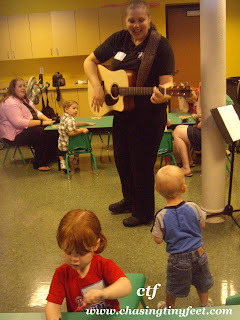 The session leader started the session by singing children's favorite songs on the guitar. 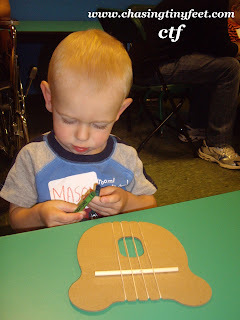 The children were given a cardboard harp with rubber bands as the strings. How cute! The children were then encouraged to join in on the song and strum their instruments too. 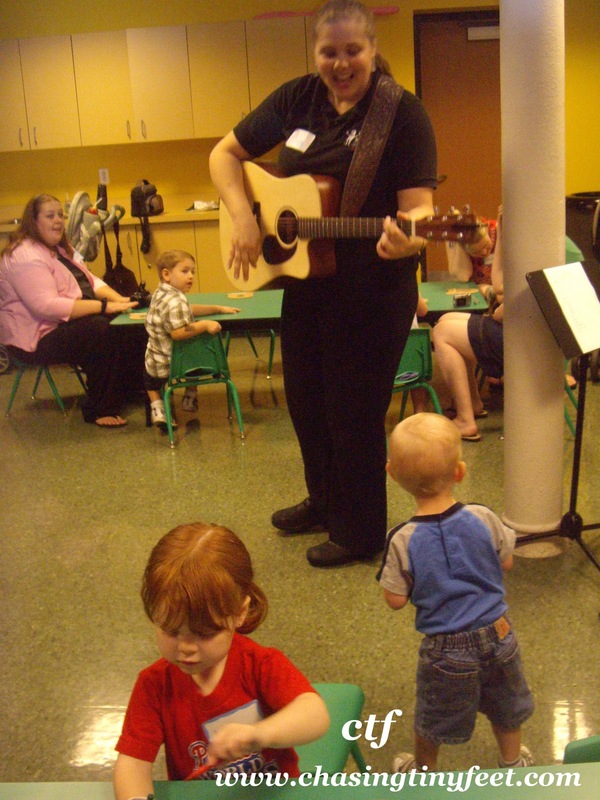 The leader allowed the children to have an educational, hands on experience with the instruments and the children had an opportunity to strum the guitar and play their favorite song on the violin. Music is Mason's FAVORITE activity! I have had Mason listening to music since he was in utero. Having a background in music, BMUS and having taught for many years, I strongly believe in the power of music and how influential it can be on people. Since Mason was able to sit up, he would sway back and forth to music. He progressed to clapping, dancing, spinning, jumping, and now he is humming his favorite songs. He even sings You Are My Sunshine with me or my husband when we put him down for bed. This class was exceptional. It was definitely age appropriate for Mason's age and skill level. 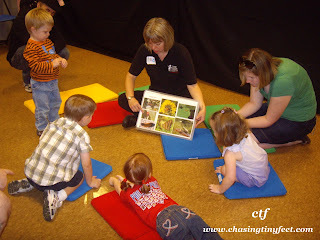 I would recommend this class for anyone with a child about 18 months and up. Art: You, Me and Art is a 6 week session for children 8 and under. During the sessions you and your child will create projects such as Mix it up with color, Print and Pattern Party, Halloween Festive Fun, FALL into Art, Express Yourself and Drip! Drop! Splat! All art supplies are included in the pricing. Classes begin Monday, October 4, 2010. Art is something I am just really getting into with Mason. On occasion, I have given him crayons to color with, but, until recently, he would mostly try to eat the crayons. Mason has also started to color with Crayola 3 Ct Washable Tadoodles Crayon Buddies and really seems to like them. I was very interested in seeing how Mason would respond to other art media besides crayons and paper. Mason loved the art project presented to him. 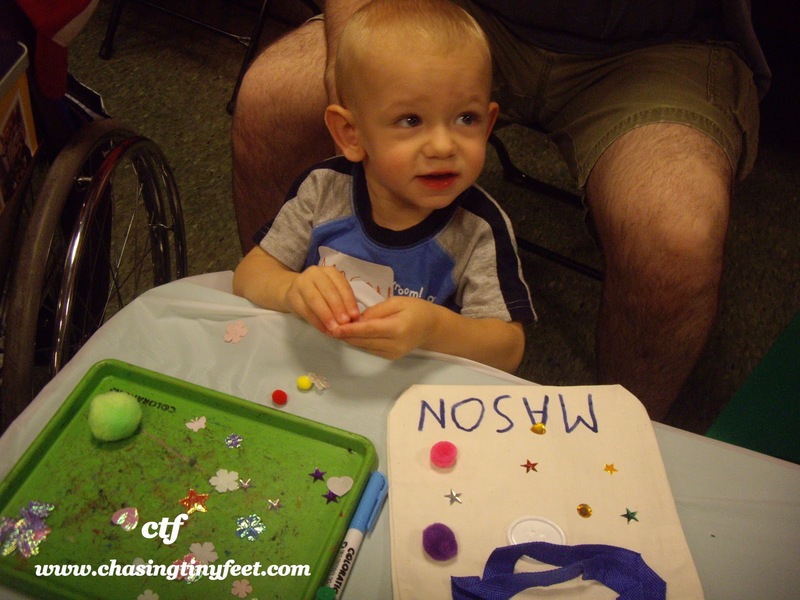 He was able to use glue, markers, and play with buttons and stickers to decorate a bag with his name on it. He did much better at this art project than I would have thought. I guess I have start busting out the crayons and paints more! Puppetry: You, Me and Puppetry is a 3 week session beginning on Saturday, November 6, 2010. 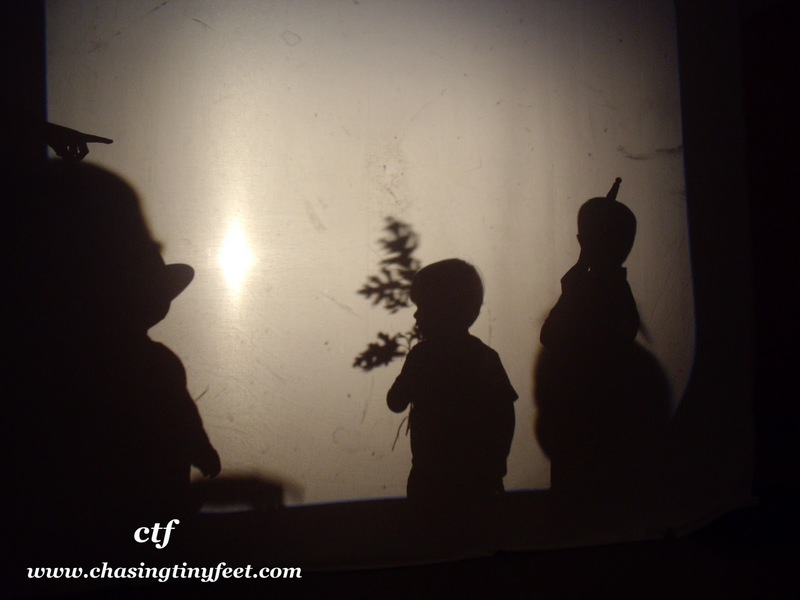 This program is will introduce your child to Rod Puppets, Shadow Puppets, and Marionettes. Our class introduced Shadow Puppets to the children. I have often played with sock and hand puppets with Mason, but never shadow puppets. Mason loves puppets and I was excited when I found out what kind of puppets we would be playing with during the session. During our preview of the puppetry session, Mason seemed to enjoy himself. This class is intended for ages 5-9, so this was currently a little out of his age range. However, he snuck behind the curtain and was thrilled with watching the Puppeteer behind the screens. Eventually, the other children also decided behind the screen was interesting too. The leader of the group was flexible and recognized he needed to change the program for the age level in the class tht day. The leader was excellent in going with the program and decided to let the children explore and play with the puppets. 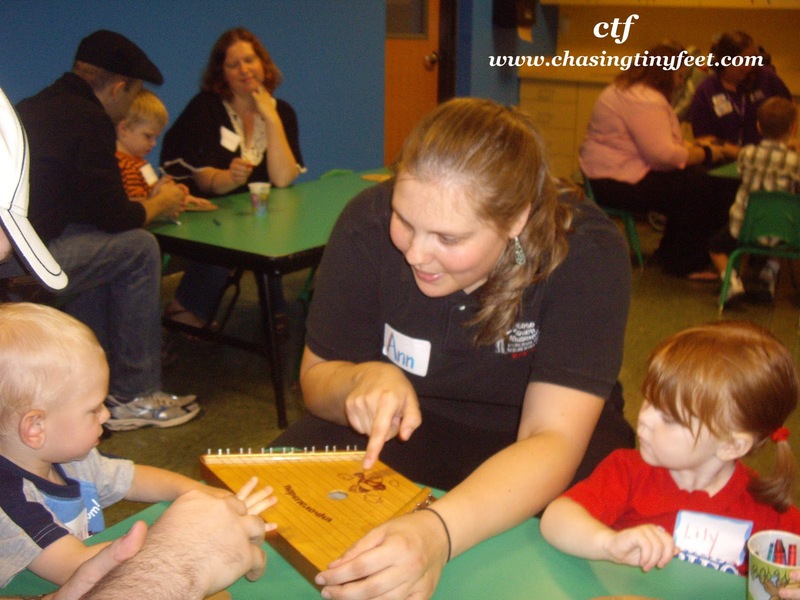 In teaching children, especially preschool age, flexibility is a necessity and the program allowed for the explorartive behavior children inherently possess. Make Believe: You, Me and Make Believe is a 3 week session beginning on Monday, October 4, 2010. It is geared towards ages 3-6. You, Me and Make Believe will explore different themes through the use of story books, props, movement, and dramatic play. 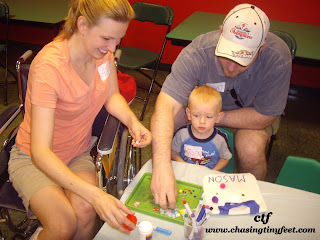 The session of creative play at the Please Touch Museum we experienced was so much fun!. The session we sat in on was Camping Kids. 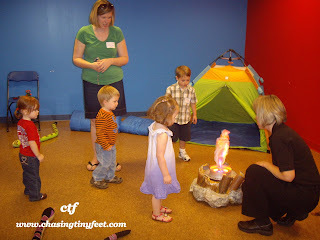 Other sessions will include Fall Fun and Big/Small Short/Tall. Camping kids started with an introduction to camping and the camping experience. Mason is just getting into make believe play. He is starting to dress up with Daddy's baseball hat or tries to put on my shoes. I bought his Halloween costume and loves to wear it. I can tell this kid is going to have a creative and bright imagination. Mason was so interested in the camping gear and loved the binoculars, the play fire, and the tent that was set up for the children to explore. After the sessions, we were allowed to take Mason and explore all the offerings of the Museum. Our first stop was checking out a brand new exhibit, Space Station. Space Station is an addition to the Flight Fantasy exhibit opening in October 2010. This exhibit will include a shiny, sliver rocket that soars above visitors heads. Children will be able to build their own rockets and use launchers to blast their creations into space. A 18 foot steel Ring Tower will provide youngsters with targets and kids can attempt to shoot their targets through the rings! Children will also be able to suit up like an astronaut in front of a blue screen and pretend to walk in space or fly their own rocket ship through the solar system. There will also be a Busy Board in which kids will be able to practice their flying skills throught he use of space-aged effected levers and buttons. 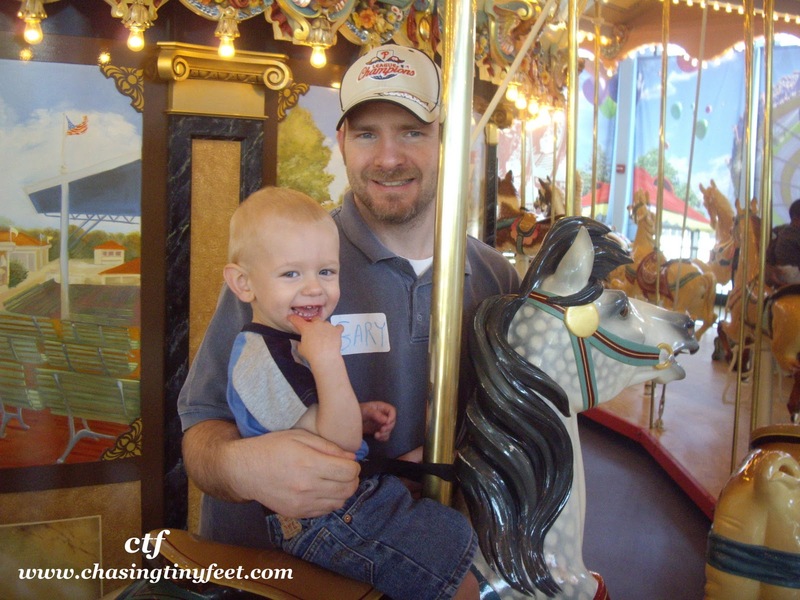 After our fun in the Space Station, Mason explored a city bus, a car, a crane where he could pick up and drop balls, River Adventure (a very large and extensive water play table), and last, but not least, the Woodside Park Dentzel Carousel. 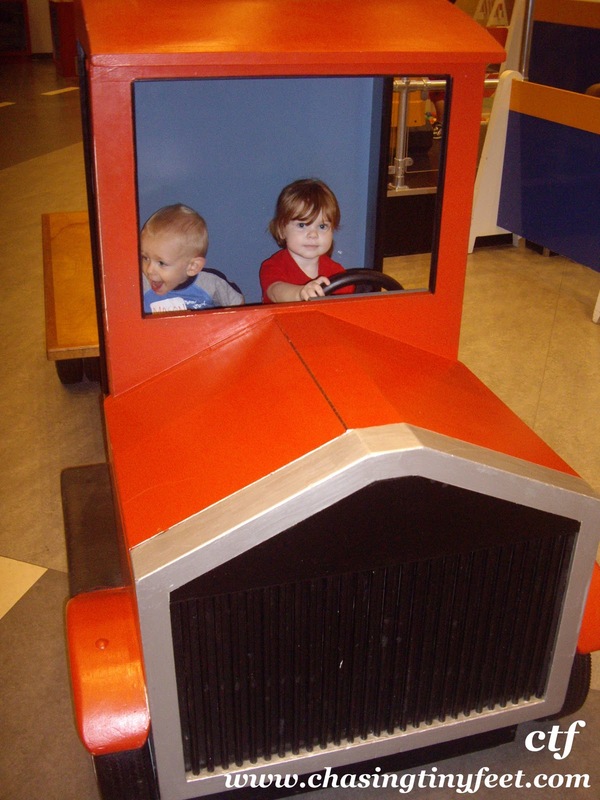 The Please Touch Museum is locally and nationally recognized as one of the best children's museums. It is open Monday through Saturday from 9am to 5pm and Saturdays 11am to 5pm. Admission is $15 for adults and children age 1 and up. Children under 1 are free. The Please Touch Museum provided me and my family passes in order to facilitate this review. All opinions are 100% mine.